In permaculture, there’s a principal that goes something like, “The problem is the solution”. 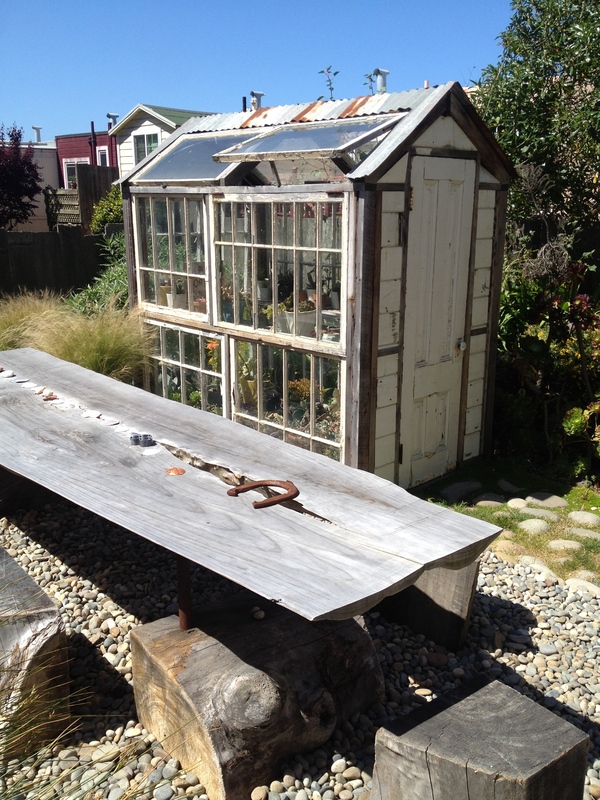 This little greenhouse pretty much typifies that concept. The “problem” here being the Outer Sunset’s characteristically foggy clime. There are some far out gardens in this neighborhood, for sure. But the grey is prohibitive to many would-be gardeners. The “problem”, Part II: Our landfills are clogged with construction materials. 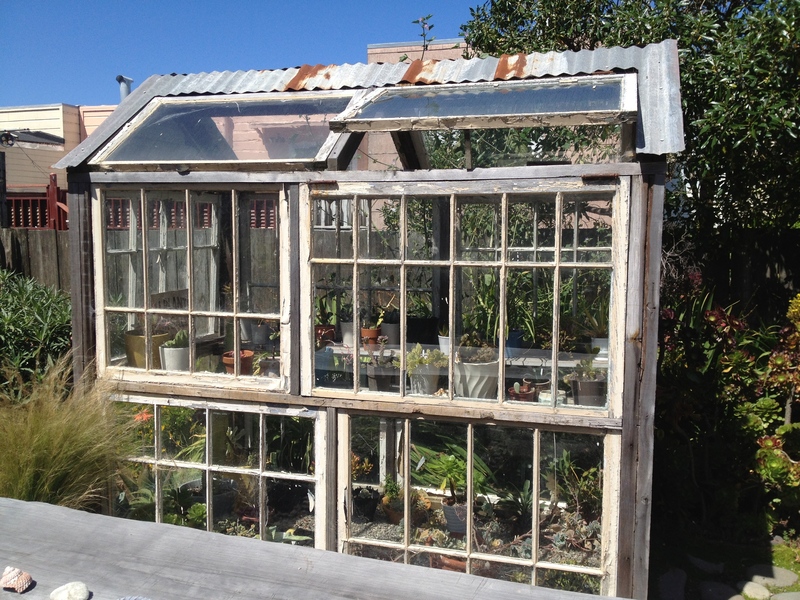 Luckily, there’s a creatively executed solution: Build a greenhouse out of old windows! It seems so simple, right?